Naburn Church of England Primary SchoolGeneralEaster Fun on Saturday! 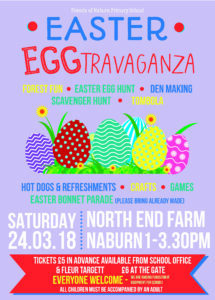 Don’t forget our Friends of Naburn event planned for Saturday. Children’s tickets are £5 in advance or £6 on the gate.